Are we going by bus? Noooooooo. All aboard! Join the NCMH crew as we travel to Lexington on our own private air-conditioned, wifi-equipped, restroom-equipped Amtrak car! Wait a minute - Amtrak doesn't stop in Lexington. One day a year it does, and this is the day. There will be games on board as we roll, with prizes. Bring the kids. Or your Mom. Even your mother-in-law. The festival features something for everyone! 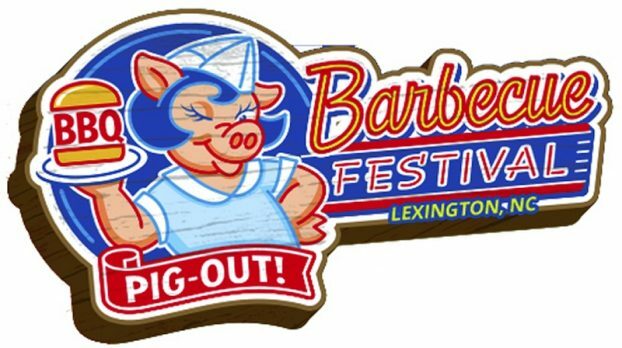 BARBECUE TENTS: Tent locations: West Center Street * North Main Street * South Main Street and 3rd Avenue. Featuring: Chopped Sandwiches, Hot Dogs, Pigtail Fries. Pepsi booths are located throughout the Festival.Plus a huge lineup of musicians. Food and drink will be for sale at the booths. JURIED ARTS & CRAFTS: Carolane Propane Gas hosts the Juried Arts and Crafts Section. More than 50 talented artisans will be in booths on South Main Street between 1st and 3rd Avenues. Visit these booths as well as the hundreds of other talented vendors located throughout Uptown Lexington. WINE GARDEN: Stop by the Barbecue Festival Wine Garden presented by Our State Magazine. Admission (extra fee) includes a commemorative glass and acces to upscale restrooms. Wine will be for sale by the glass & bottle. Sit back, relax and enjoy great live music from Stage 4. Hosted by the Tourism-Recreation Investment Partnership for Davidson County. 19TH ANNUAL SAND SCULPTURE: The "Pig Themed" sand sculpture, sponsored by Lexington Utilities & ElectriCities, has become one of our most popular attractions! The 50-ton sculpture will begin taking shape eight days prior to the festival and will be completed on festival day. Don't miss this awesome special attraction, located on Main Street, between 2nd & 3rd Avenue. LUMBERJACK SPORTS SHOW: Contestants chop and saw their way through timber that would make Paul Bunyan think twice. The South Atlantic Woodman's Association will bring some of the world's best competitors. From traditional chopping events including the underhand and standing block chops, where these tough lumberjacks will use six and a half pound, razor sharp axes to blast their way through 12 inch logs... to the old time sawing events such as the Two Man, Jack & Jill and Single Handed Sawing, where the really big logs are cut with saws sharpened like our grandparents could only dream about... and to the modern day chain saws, which are super modified to the point where they would make a Nascar driver green with envy. Plan to catch the one-hour show at 2pm. POWER JUMP TRAMPOLINE: See the festival from new heights while jumping on a Quad Bungee Trampoline! The bungee jump phenomenon has been a tremendous attraction throughout the world and, while at the Barbecue Festival, participants of all ages (30 lbs to 180 lbs) will enjoy the unique adrenaline rush the experience offers. $59 per person. 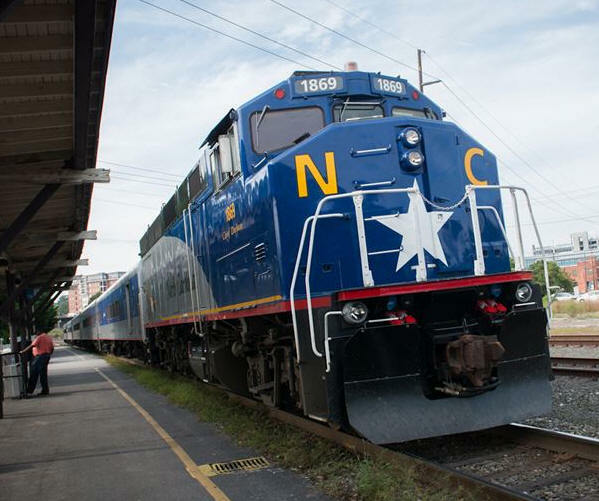 Includes roundtrip transportation in a private NCMH train car to Lexington from either Durham or Raleigh. After payment, please email george@ncmodernist.org with the station you prefer, along with the names of each passenger plus the cell number and email for each adult passenger. Once payment is made, there are no refunds for any reason except for trip cancellation. However, you can transfer your place to another person with four weeks written notice to NCMH. Park downtown (or get dropped off) either in Raleigh or Durham at least 10 minutes ahead of registration. Trains can be delayed, so our time in Lexington may be affected if that happens. No smoking, coolers, or alcohol on the train. Whatever you bring you will have to carry around town as the train must be emptied completely. Participants must sign a liability release before departure, as is standard with all NCMH trips. You'll be emailed this a few weeks ahead. 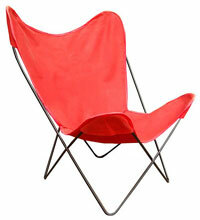 Proceeds benefit NCMH's ongoing documentation, preservation, and promotion projects. We are a North Carolina 501C3 nonprofit. Questions? Contact George Smart, rebekah@ncmodernist.org.